Xi’an is a large city in central China and capital of Shaanxi Province. It is over 2000 year old and it was a capital of many Chinese Empires and the seat of even more Emperors. 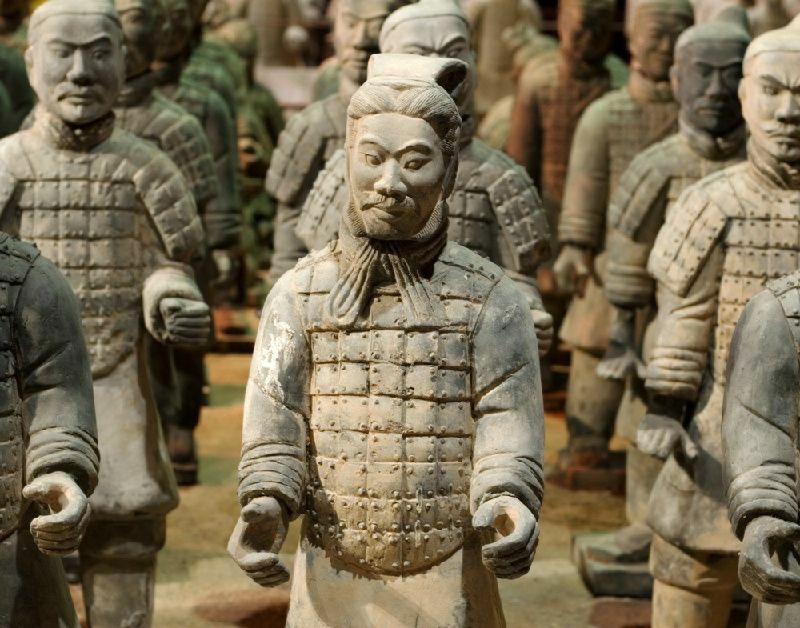 China’s first emperor, Qin Shi Huang, was buried in outskirts of Xi’an, together with the army of thousands of terracotta warriors, world famous life size sculptures. Geographically, it is at the historical Silk Road’s eastern end and it was an important trade and cultural center in ancient China. City center is surrounded by well preserved, massive fortified wall, standing at 12m tall, with walkaways on top and towers and moats. 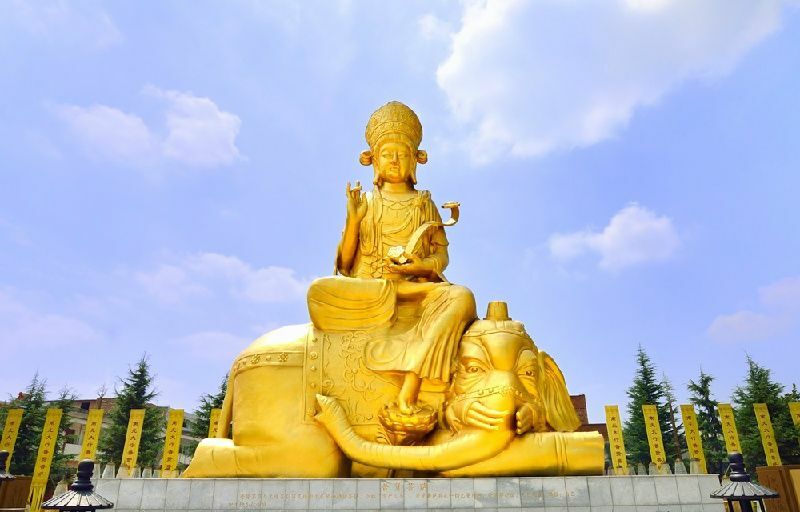 Several landmarks, such as Drum Tower, Bell Tower, Giant Wild Goose Pagoda or Small Wild Goose Pagoda, stand as a reminder of glorious ancient civilization sprawling from this city for centuries. Terracotta Army. Attraction famous for lifelike sculptures of terracotta warriors built around the 3rd century BC for Emperor Qin Shi Huang burial site. Giant Wild Goose Pagoda. 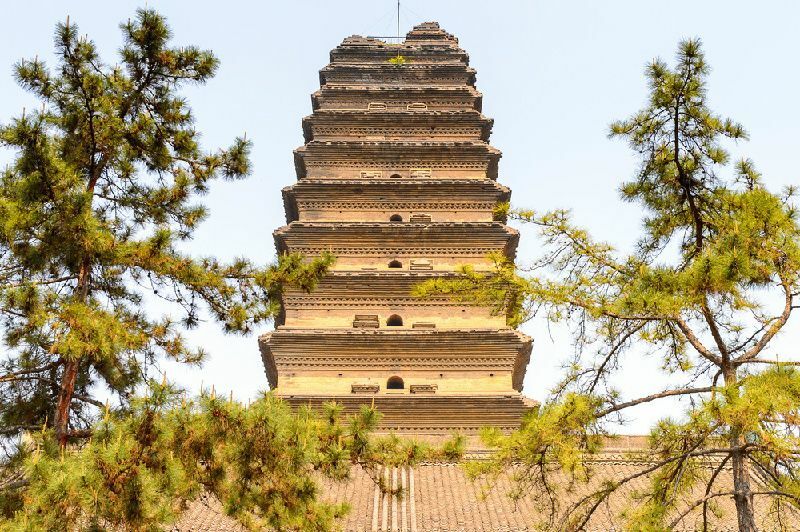 Located in Xi’an, this 7th century built Buddhist pagoda was built to host sacred scriptures. Mausoleum of the First Qin Emperor. Located to the west from famous Terracotta Army sculptures, this mausoleum, tomb, and archaeological site is dating back from 3rd century BC. Huaqing Pool. Besides Terracotta Army, these Imperial hot sprigns and pools of the Tang Dynasty have legend attached to them famous for the romantic love story of Tang Emperor Xuanzong and his concubine Yang Yuhuan. Fortifications of Xi’an. 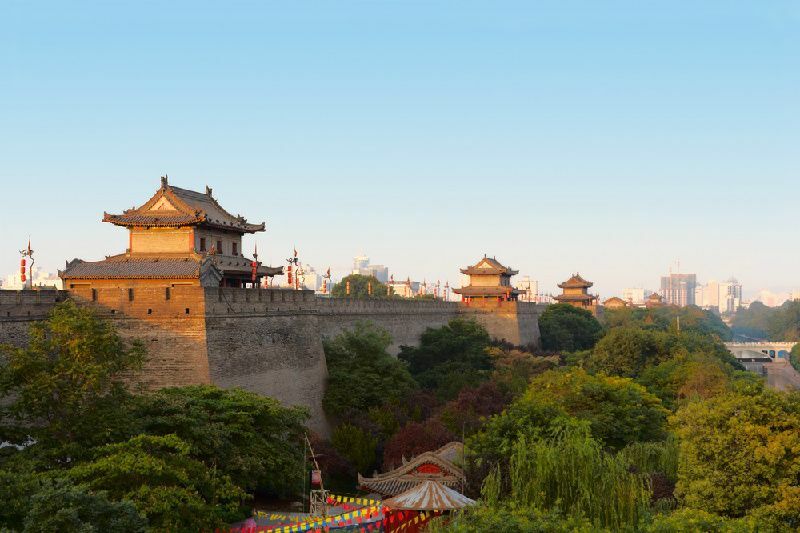 Well-preserved fortified wall with a moat, imposing gates, one of the largest in the world. Offering guided tours, walking, sightseeing with electric cars and biking. Drum Tower of Xi’an. Originally built in 1380 during the reign of Emperor Hongwu of the Ming Dynasty, this impressive building is located in a center of Xi’an and is offering guided tours of the insides together with drum exhibition. Bell Tower of Xi’an. This is an equivalent of Drum tower, built at similar times (1384), offers historical exhibits and city views. One of the main landmarks of Xi’an. Great Mosque of Xi’an. The largest mosque in China. Built in year 742, it has unique, Chinese style influence with colorful design. Including large garden. Shaanxi History Museum. Lauded as ‘the pearl of ancient dynasties and house of Chinese treasures’, this large museum features thousands of years of Chinese history and art. Exhibits include fossils, murals, pottery and metal artifacts. Small Wild Goose Pagoda. Ancient pagoda, dating from the Tang Dynasty (618-907), offering scenic views form the top to the park area. Mount Li. Forested mountain in a national park, rising just above famous Terracotta Warriors site. Offers scenic views and hiking opportunities. Banpo. Opened in 1958, this archeological site with a museum features typical Neolithic matriarchate community excavations dating back to 6000 years ago. Stele Forest. A unique museum of stone steles and stone sculptures. Its current construction is based on Xi’an Confucius Temple dating from 1087. Tang Paradise. 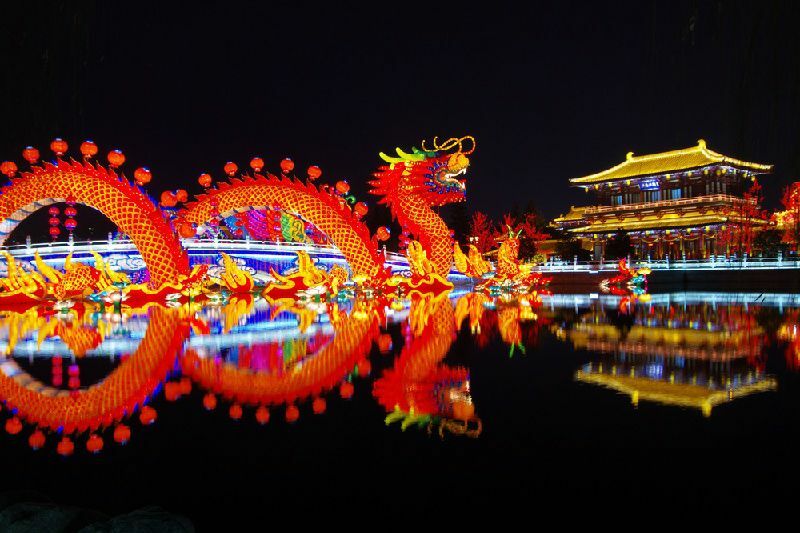 Located near the Giant Wild Goose Pagoda, this theme park showcasing Tang Dynasty culture and architecture is also featuring various performances and light shows. Daming Palace. Large archaeological park with remains of different constructions from Tang Dynasty. From other attractions we also recommend to see: Huaqinggong Relic Site, Epang Palace and Famen Temple. 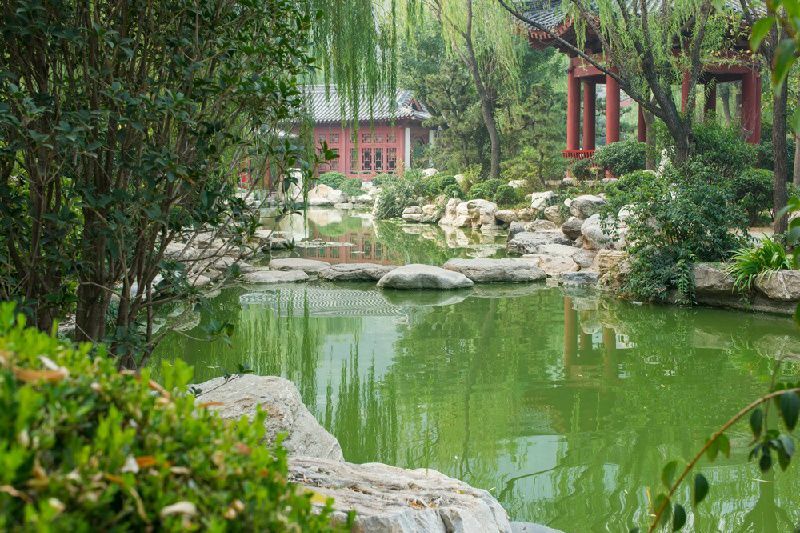 You should try and visit all mentioned attractions if you have enough time and you budget allows it, and we recommend also several other activities: biking tour around Xi’an walls, calligraphy class, shadow puppet performance, pottery making class, and Waterscape show in Tang Paradise. Xian International Calligraphy Festival (March), Ancestor Worship in Mausoleum of the Yellow Emperor (April), Xian Terra Cotta Warriors Army & Pomegranate Festival (September), China Yangling Agricultural High-Tech Fair (November), Xian International Lantern Festival (January-February). Xi’an was a capital for 13 empires under 70 emperors. Xi’an is the birthplace of Chinese civilization. The name of Xi’an literally translates into Peace in the West. The peak season for flights to Xi’an is March, May and July. The low season for purchasing tickets is February, June and November. Xi’an is served by Xianyang International Airport (SIA). 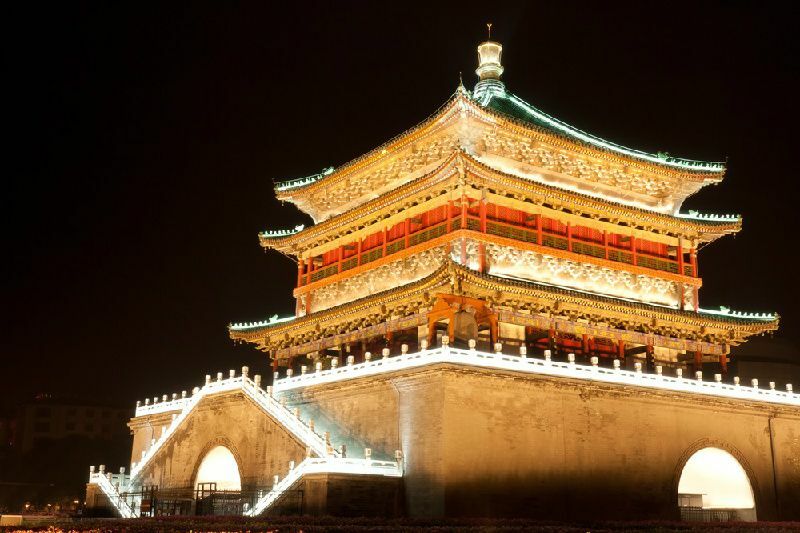 Direct flights to Xi’an are offered by 17 airlines.